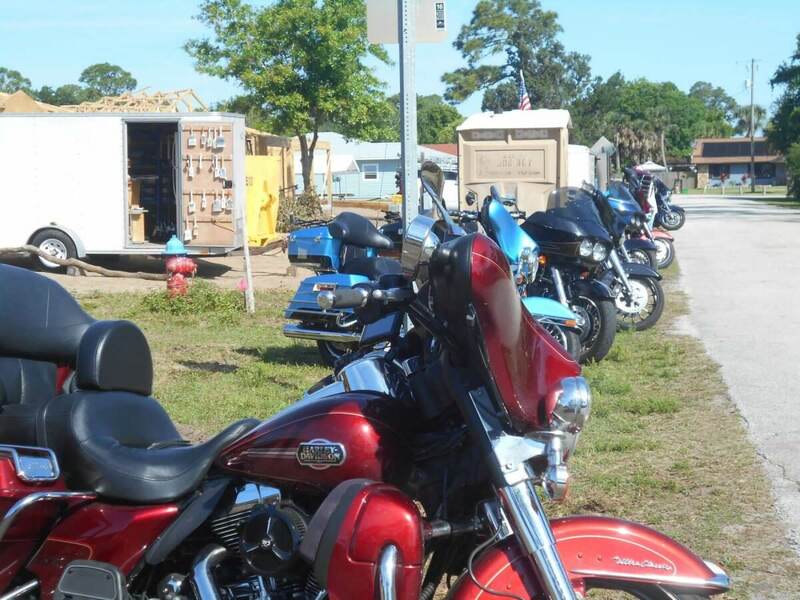 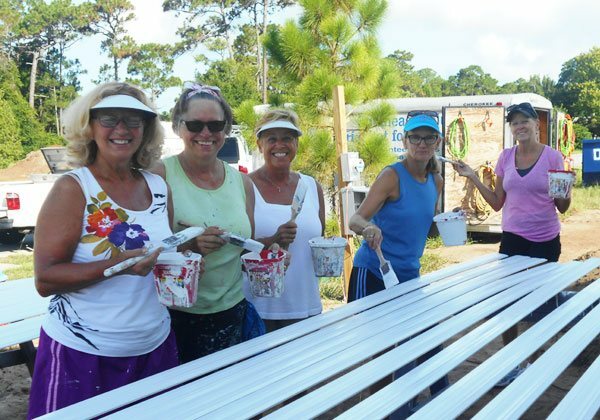 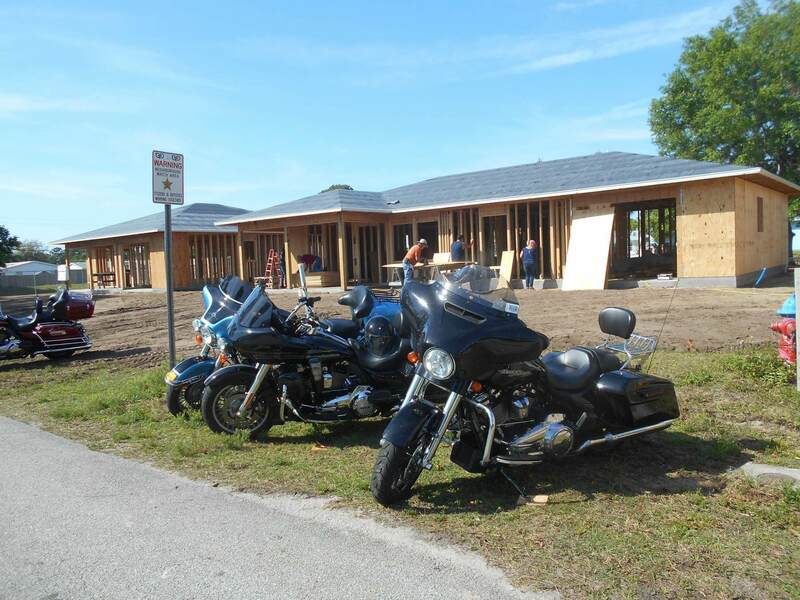 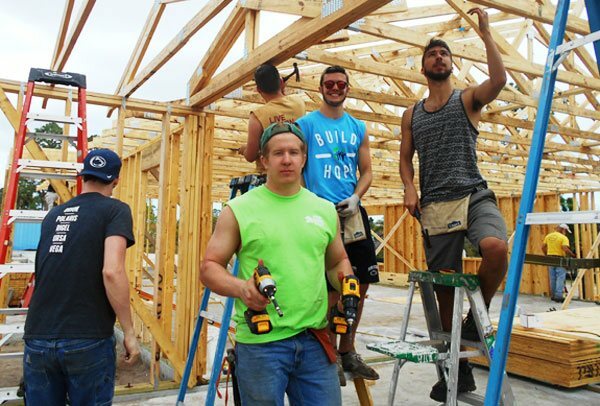 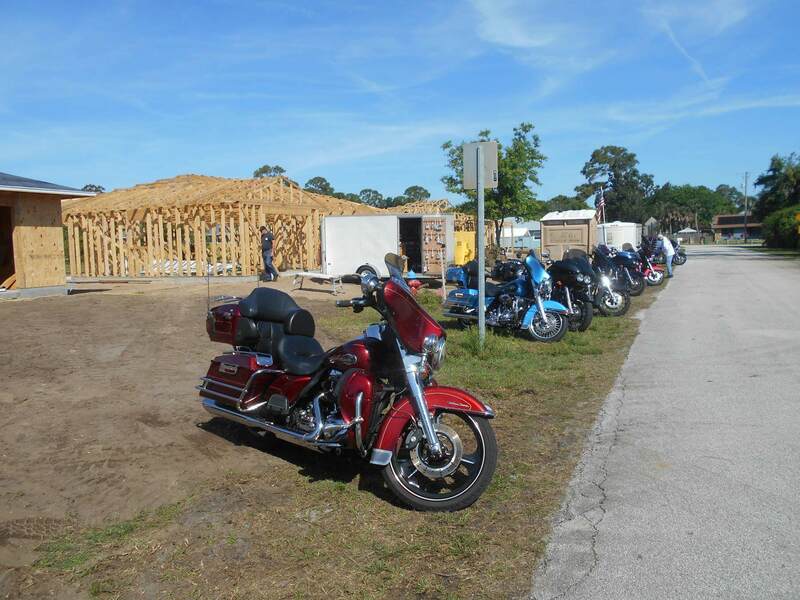 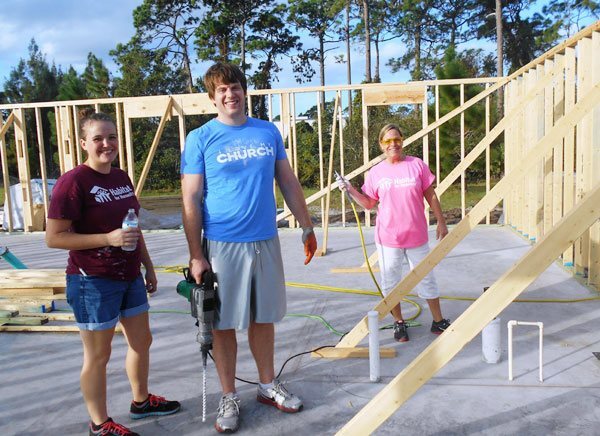 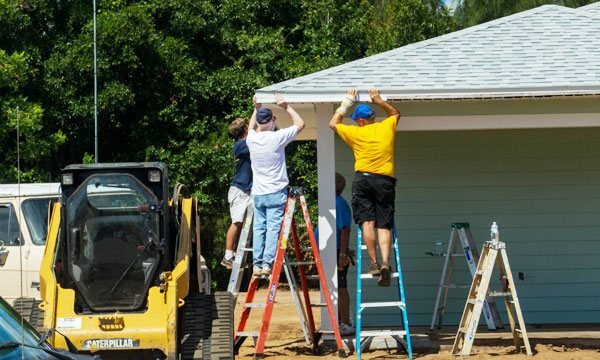 The Harley Davidson Club of Daytona Beach rode their beautiful bikes down from Daytona, early in the morning of 3rd April, to build homes for Habitat. 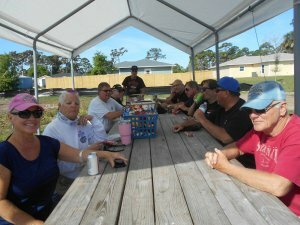 The group included the entire board of the association, including their Director, Paul Gunness and Assistant Director, Paul Doolittle, with his wife, Susan. 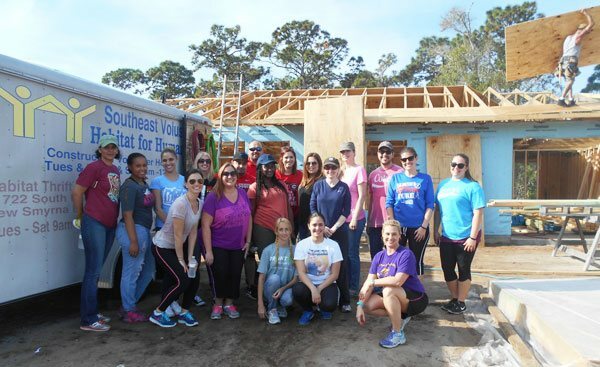 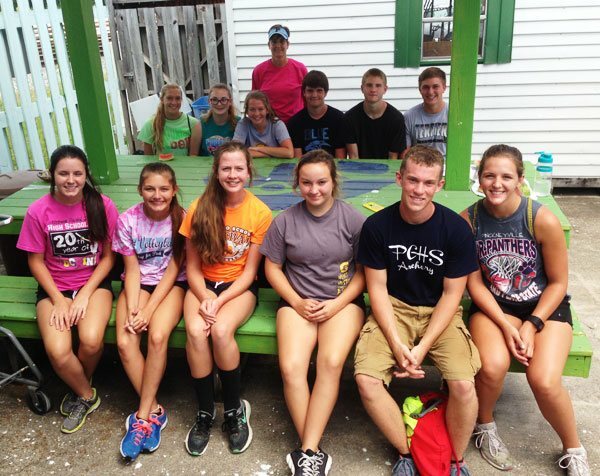 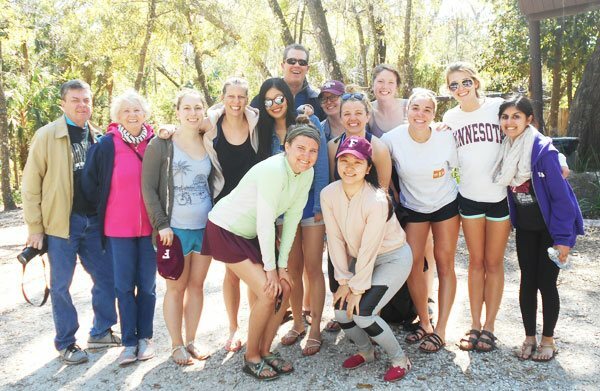 The group of men and women spent the morning working on 134 and 132 Canal Rd, in the Pinehurst subdivision, the future homes of the Crum and Milam families. 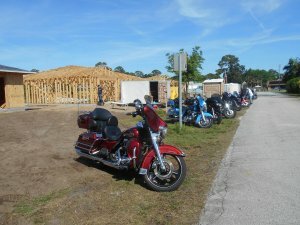 Thank you, HOGS, who intend to come again soon, also bringing along members of the New Smyrna club.